Tiffany & Co. Is in the Mood for SpringTheir new collection is proof. Tiffany & Co. Took Over New York City’Tiffany Blue’ is everywhere we turn. See the First Whimsical Jewelry Collection by Tiffany’s New Artistic DirectorReed Krakoff is bringing his modern touch to Tiffany & Co. Deep Thoughts at Tiffany With Olivia WildeThe actress celebrated the opening of the Blue Box Café. St. Vincent Wore the Most Incredible Dress at the Tiffany PartyIt was red vinyl. Tiffany’s New Fragrance Ad Has It All: Diamonds, Tattoos, Tiaras, and SkinHere’s what diamonds smell like. Tiffany & Co. Taps Cool Young People in First Act of RebrandingSt. Vincent kinda looks like Audrey Hepburn? 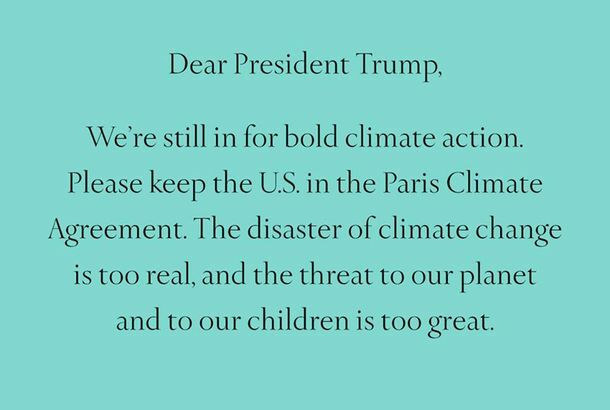 The Paris Climate Agreement Is Tearing the Tiffany’s Facebook Community ApartNiche drama alert. Delicate Jewelry Gets Tough With Tiffany & Co.’s New HardWear CollectionJust don’t put these in your toolbox. Reese Witherspoon Really Wants a Second Season of Big Little LiesShe discussed the show and sustainability over a Tiffany & Co. breakfast. Tavi Gevinson Leads a Lesson on Art in the Digital AgeShe hosts a new episode in Tiffany’s new video series. Lady Gaga Will Appear in a New Tiffany & Co. Ad During the Super BowlShe’s the face of the brand’s new Tiffany HardWear line. Tiffany & Co. Comes to Dover Street MarketThe store is playing host to the jeweler’s “Out of Retirement” collection. Price Upon Request: See the Season’s Most Over-the-Top Fine JewelsBobby Doherty shoots extravagant jewelry in unexpected ways. My Blind Date at Tiffany’sE. Jean Carroll’s old-timey plan for modern dating. Costco Says ‘Tiffany’ Is Just a Ring SettingTiffany & Co.’s lawyers feel otherwise. Carey Mulligan Pulled Off a Tuxedo-CapeAnd wore nothing underneath. Your Tiffany Heart Necklaces Are Safe AgainElsa Peretti has renewed her contract with Tiffany & Co.
Julianne Moore Is New Face of L’Oréal Paris; Mall of America Turns TwentyPlus, Carolyn Murphy and Sui He star in the holiday ads for Printemps. Tiffany & Co. Won’t Settle for Just Any Old ScaffoldingThey’ve commissioned Jude Law’s sister to decorate it. Will Tiffany & Co. and Elsa Peretti’s Heart Necklace Go On?The company is trying to acquire the designer’s intellectual property rights. Cameron Diaz’s First Tag Heuer Ad; Banana Republic’s ‘Pippa’ DressPlus, inside Tommy Hilfiger’s Plaza home, why new model Lara Mullen needs Google Alerts, and more fashion news. Meatpacking’s Retail Changes; Marni x H&M’s Red Cross TeePlus, Coco Rocha covers the new issue of Canadian fashion magazine Flare. Twilight Fans Fake Their Weddings; Kate Moss’s Vogue Paris CoverPlus, Vivienne Westwood launches a new campaign to save the rainforests, Betsey Johnson’s pink Christmas tree, and more news. Holiday Window Season Is Officially in Full SwingJust in time for all the tourists. Tiffany & Co. Takes Christian Louboutin’s Side in Red Sole LawsuitThey’re onboard with the idea that a color can be trademarked. Vogue.com Launches a Video Series; Gap Is Reportedly Fighting Kim Kardashian’s LawsuitAlso, Burberry has been named the most “digitally competent” fashion brand by an NYU think tank. Tiffany & Co. Provides All the Jewelry for Baz Luhrmann’s Great Gatsby RemakeWhich has everything to do with Vogue, the CFDA, and the Met Gala, of course. Newt Gingrich’s Former Staff Was Pretty Worried About That Tiffany Charge AccountThe Gingriches were just so … GENEROUS. It was disgusting. Giovanna Battaglia Wore Uggs; Issa Designer Makes Clothes ‘For People Like Me Who Think They’re Fat’Also, check out Kate Moss’s eleven favorite pictures of herself, which you will soon be able to purchase for $75,000 each. Givenchy Model Lea T’s Transgender Revelation; Jessica Biel’s Weird Photoshopped LegPlus, Doutzen Kroes goes gaga for Tiffany & Co.
Jenny Packham Makes Plans for NYFW; Florida Helps Keep Neiman Marcus AfloatPlus, Terry Richardson’s secret life as a bear. Design Hunting: Rediscovered Elsa Peretti Treasures at Tiffany’sRobert Rufino’s exhibit of Elsa Peretti’s notebooks and albums gives a wonderful, personal sense of how she works, her designs, and her inspirations. New Vogue Rumors; Sophie Dahl Lands Cooking ShowAlso Jessica Stam’s new fall Fendi ads are out. 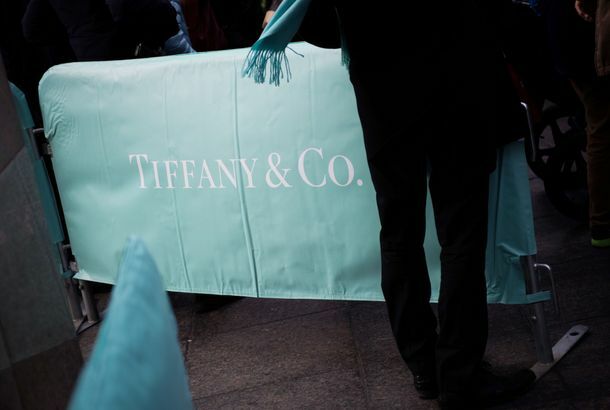 Tiffany Still Doing Quite Badly in the DownturnProfits are down 64 percent. Breaking: Tiffany Acquires LambertsonMoney troubles? What money troubles? Tiffany Is in the Hole and Sees No Way OutNo one’s buying diamonds anymore, and earnings are down 75 percent. Adidas Takes Wal-Mart to Court; 52-Year-Old Sues Victoria’s SecretAdidas says Wal-Mart is copying its logo, a woman got injured by a Victoria’s Secret V-string, and André Leon Talley wears another turban.